This version known as the AT or EVEREX or EVEREST. Version uses the following wiring. Standard 2.54mm Pitch IDC Connector. Called Straight Thru Wiring Serial Port. A 6 Inch Ribbon cable with one end db-9 Male and the other IDC 10 pin Female. 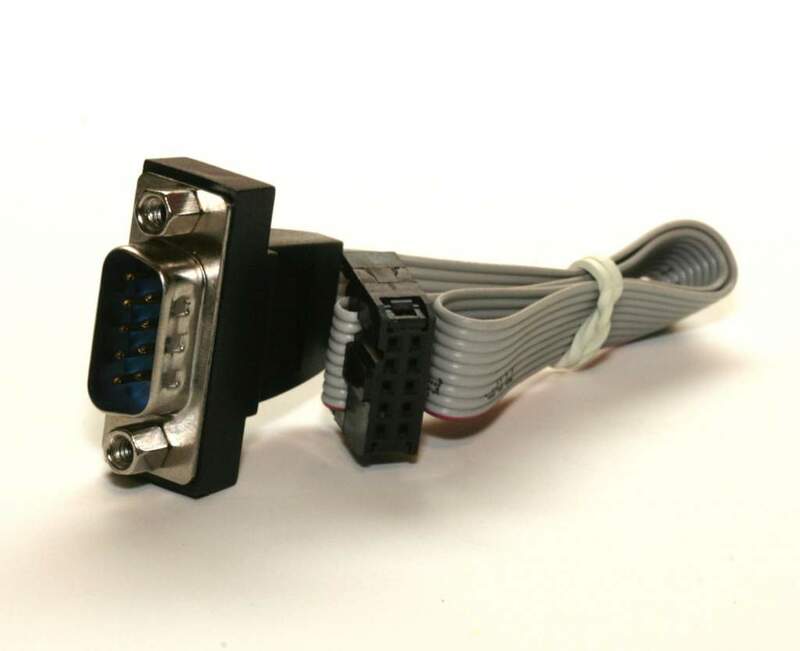 These small cables plug into motherboards and some I/O Cards. We sell a 12 Inch Version of this Part 07120. We sell a 30 Inch Version of this Part 07130. We also Sell a 1U Short Bracket for This Part 07112.